Clashes and shooting began in Shang, the border area with China, on the night of November 20th-21st. About 600 people from three rebel groups, the Kachin Independence Army, the Army of the National Democratic Alliance of Myanmar, and the National Liberation Army Taang, attacked the positions of Myanmar’s armed forces, while several buildings and infrastructural targets were blown up. The armed forces managed to repel the night attack, but the fighting is ongoing. Today, 8 dead, including 3 civilians, have been reported. Three policemen, one soldier, and one insurgent were also killed. Moreover, over the course of the day, thousands of people have left the troubled region. The region, including the border provinces Shang (from Myanmar) and Yunnan (from China), has always been restless. 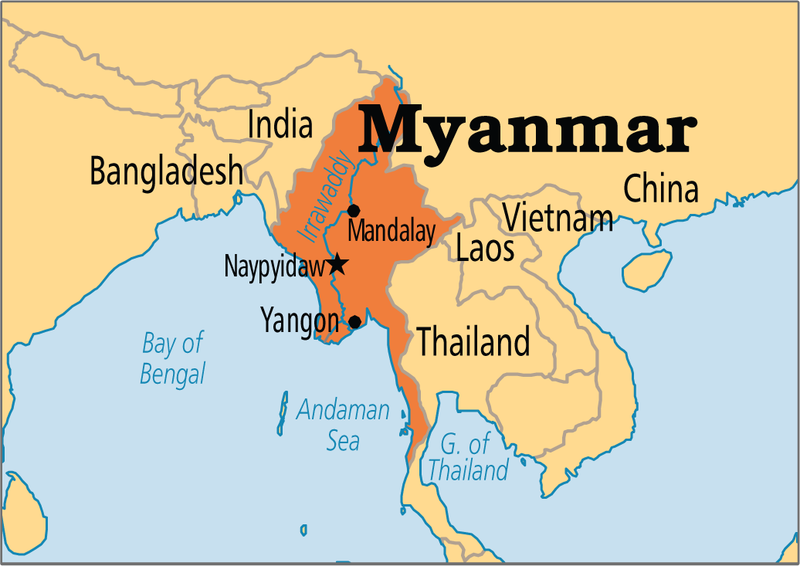 This mountainous area in Myanmar is controlled by rebels who have created one of the few unrecognized states there. At the same time, all of these self-proclaimed states are fighting with one other. In China, the territory is controlled by the government which pays special attention to the situation. The conflict has escalated following the thawing of Myanmar-US relations and Obama's decision to lift sanctions "for the sake of the further democratization" of Myanmar. The lifting of the sanctions was noted to be impossible without prior conditions, such as providing priorities for US interests, which may include anti-China activities. In addition, the events in the region cannot be considered in isolation from each other. In particular, territorial conflicts have worsened around the Chinese border regions, such as the Sino-Indian and Sino-Vietnamese areas, also following the meeting of delegations from both India and Vietnam with colleagues from Washington. Internal tensions have also escalated with demonstrations in Indonesia and Malaysia against the prime ministers of the countries, who are turning towards Beijing. Tensions have heightened in Nepal. There are pockets of instability in China itself, as nationalist protests are ongoing in Hong Kong. However, official Beijing is urging all parties to remain calm and opt for dialogue over the conflict in Myanmar, as reported by Chinese foreign ministry spokesman Geng Shuang. Almost immediately, some humanitarian corridors were opened, with the help of which more than 3,000 refugees were able to leave the first day for Chinese Yunnan from Shan. This was announced by the representative of the Chinese diplomatic mission in Myanmar, Pan Xuesong. Currently, Chinese doctors are providing assistance to those in need. Will Oil End the American Century?